Vertigo Camp & Hike Churchill Lighter Asst Churchill/CS. Includes a fuel viewing window and a large fuel tank. Vertigo Camp & Hike Cyclone Lighter Asst Cyclone CS CycloneCS. Includes a clear fuel tank and large flame adjuster. 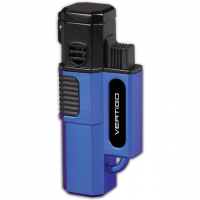 Vertigo Camp & Hike Equalizer Lighter Asst Equalizer CS EqualizerCS. 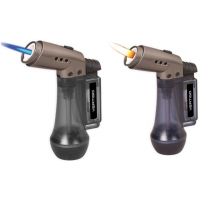 Includes single-action ignition and fuel window. Vertigo Camp & Hike Gemini Lighter Asst Gemini CS GEMINICS. 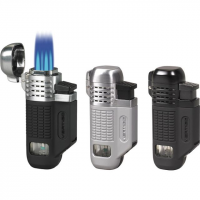 Easily transition between torch and traditional flame with a simple switch. 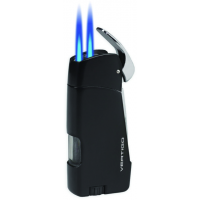 Features two flames in one large fuel tank large flame adjuster and a built-in safety lock. Vertigo Camp & Hike Hornet Lighter Asst Hornet/CS. 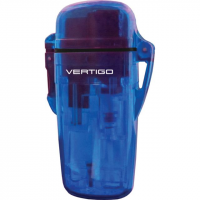 It has a child safe ignition lever carabiner attachment and rubberized grip. Lifetime warranty. Vertigo Camp & Hike Razor Lighter Asst Razor CS RAZORCS. 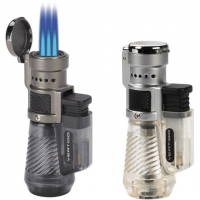 Features a twin torch flame single ignition large fuel window and large uel djuster. 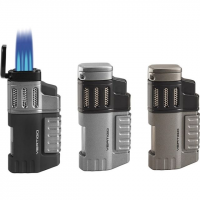 Vertigo Camp & Hike Spectre Lighter Asst Spectre CS SpectreCS. 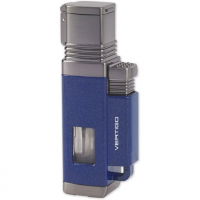 Includes single-action ignition a fuel viewing window and large fuel tank. Vertigo Camp & Hike Typhoon Lighter Asst Typhoon/CS. It has child safe ignition clear fuel tank carabiner attachment and locking cap. Lifetime warranty.